Update: Soundbooth Broadcast is now also available for iPad. Download the app here in the Apple App Store. Released almost a year ago, the original Soundbooth was the very first online application that allowed users to listen to and compare actual real-world microphones, as they would perform in everyday use. Featuring tracks recorded by renowned producer and engineer John Merchant and focusing on the recording of vocals and musical instruments in a studio environment, the application has been used over one hundred thousand times and has played more than half a million tracks. 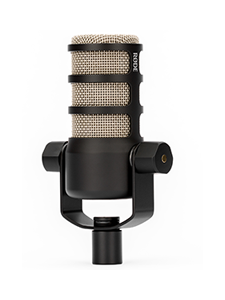 This new edition of Soundbooth offers twenty three different RØDE microphones, including the NTG8, NTG3, NTG2, NTG1, VideoMic, Stereo VideoMic, VideoMic Pro, Stereo VideoMic Pro, NT4, NT5,Broadcaster, Procaster, Podcaster, Lavalier, PinMic, HS1, K2, NT1-A, M1 and M3. 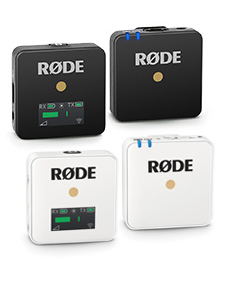 Additionally the application includes three forthcoming microphones for broadcast and field recording that RØDE will announce during the remainder of 2012, and make available for use in the RØDE Soundbooth. The application is split into five different scenarios or applications that broadcast sound engineers would typically encounter, namely indoor and outdoor dialogue, voice over, acoustic music performance and also live reinforced music. Each audio scenario offers a wide range of microphones that users can switch between in real-time, to hear exactly how each one differs acoustically. “We are incredibly proud of the Soundbooth platform and to extend its application to our broadcast and video range is something we are very excited about.” commented Damien Wilson, RØDE’s Global Sales & Marketing Director. “Here at RØDE we are constantly working on ways to educate our customers on the best mic for their application and with this new broadcast version of Soundbooth that just got a whole lot easier”. A native iPad version of Soundbooth broadcast is currently in development and slated for release in late 2012. 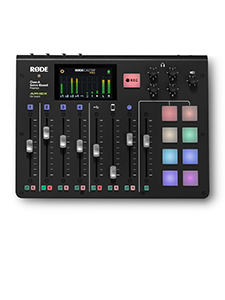 Visit rode.com/soundbooth now to use RØDE Soundbooth for either broadcast or music.